In every way, Big B’s Fabulous Juices is a family business. The organic juice plant was founded more than 40 years ago by Bernie Heideman and his wife, in a historic 110 year-old fruit packing shed along the railroad tracks in Hotchkiss. 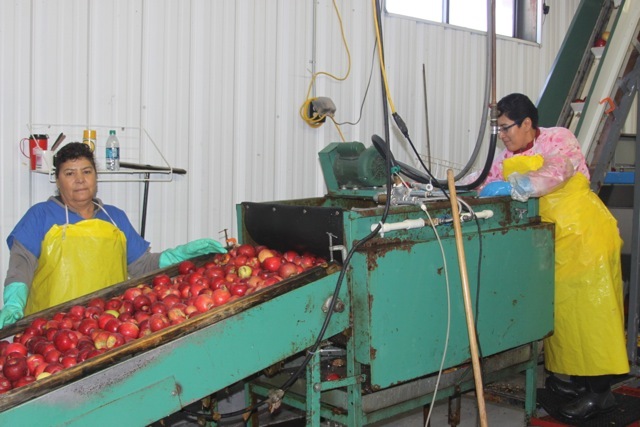 Under Schwartz family ownership since 2002, Big B’s has increased its juice processing from 500,000 pounds of apples a season to 4,000,000. Yup, that’s right, four million pounds of apples a season. Jeff and his wife Tracey, his brother, and his father, are the major stakeholders in the business, which is a significant contributor to the North Fork economy, and this year just won “Hotchkiss Business of the Year.” Big B’s employs several extended families and buys apples from more than a dozen small, medium and large orchards in the valley. Four million pounds of apples! 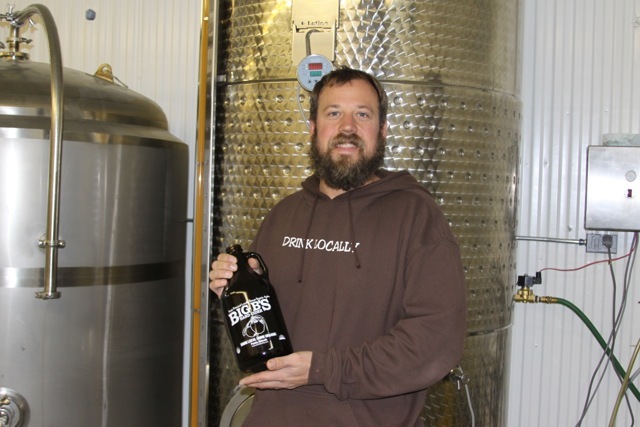 Jeff acknowledges that his locally sourced, organic cold-pressed cider costs a little bit more than commercial cider, but says they try to price wisely. “If you want to take a gallon of cider home for eight dollars, it’s probably worth it when you figure it takes four people a week to drink it.” No wonder: It takes more than forty apples to create a gallon of Big B’s apple cider. That’s ten organic apples a week per person in a four-person family. That’s healthy! We stepped out of the crisp afternoon cold and into the dimness of one of the newer buildings to begin our tour. He showed me where the bins are dumped and apples get sorted and washed, and then the juicing line and bottling lines. In this loud bright room, giant bags of jugs and gleaming tanks stand waiting to be filled as people move apples through the process of getting ground into pumice and then squeezed into juice. 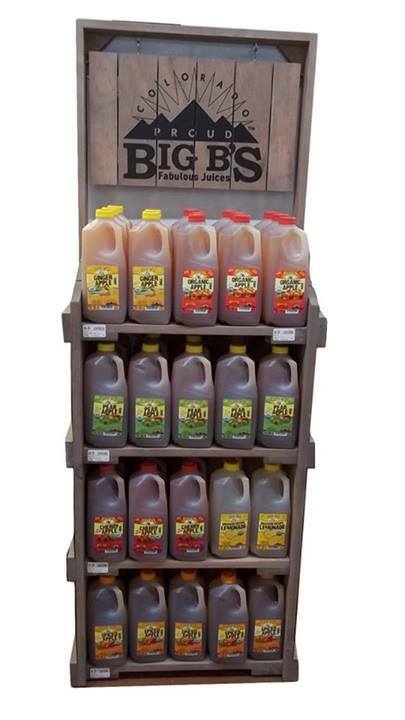 Until recently, Big B’s Cold Pressed Apple Cider has been preserved with an ultraviolet process, which is “the best way to keep the taste and nutrients of raw unpasteurized cider,” and gives it a 14-day shelf life; the juice line has been thermally pasteurized, giving those flavors a 12-month shelf life. This year, Jeff explains, they’re also trying a new high-pressure technology from a company in Boulder, allowing them to offer a “cool new product line” of fresh, uncooked juices with a 75-day shelf life. No preservatives or sugars are added to the products, which come in a mouthwatering assortment of flavors. The cold-pressed apple cider comes in regular and spiced, and is only available during the pressing season. 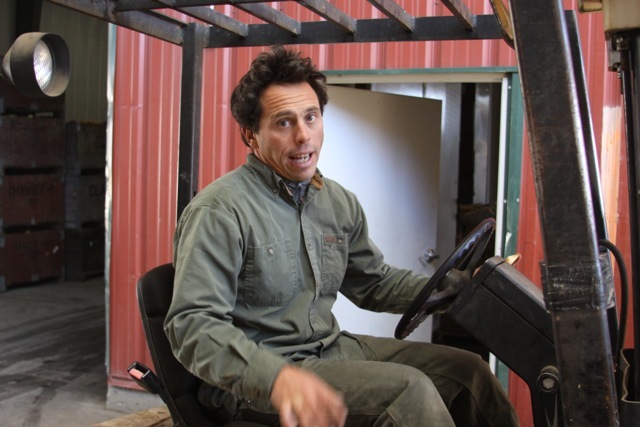 Jeff suggests if you want fresh cider some other time during the year, you drink a little off the top of the bottle and freeze the rest, which is then good for a week after you thaw it. He also explains that all their products use a blend of sweet and tart apples, and that the exact flavor of the cider will vary a little throughout the season according to which of the thirteen apple varieties (Rome, Fuji, Jonagold, Honeycrisp, Gala, etc.) are ready at that time. Besides the fresh cider, Big B’s website displays six flavors of organic apple juice, including cherry apple, pear apple, ginger apple, spearmint apple and apricot apple; and several other organic or all-natural beverages: lemonade, hibiscus pomegranate lemonade, spearmint lemonade, black iced tea, and, in a nod to Big B’s founder, the Bernie Palmer, half iced tea and half lemonade. Every aspect of Big B’s takes into account environmental impact, from this bioregional ethic to their choice of HDPE plastic bottles rather than glass, calculating a carbon footprint based on the best, healthiest and most environmentally friendly choices they can make for their methods and their customers. 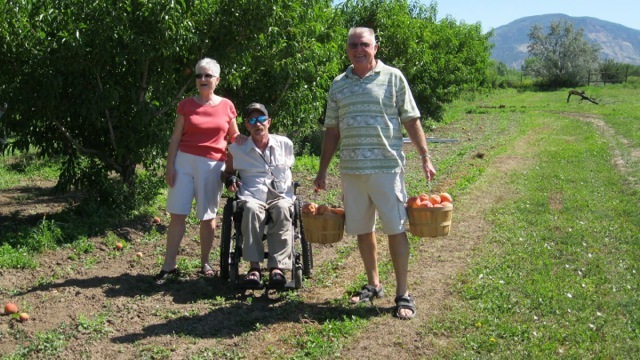 He adds, “The biggest acreage of western slope fruit is right here in the North Fork Valley. White Buffalo, Ela Family Farms, First Fruits, and other orchards. Rogers Mesa Fruit makes viable the fruit industry here, because without a packing shed you’re had.” Big B’s gets apples from some of the larger organic orchards in the valley and also mid-size and backyard orchards. By now we have moved into the fermentation room, where Big B’s apples transform in the hands of skilled brewer Shawn Larson into five flavors of hard cider sold under the North Fork Cellars label: Orchard Apple, Sweet Peach, Pear Hill, Cherry Days, and Winter Spiced. And he proves that to me later. 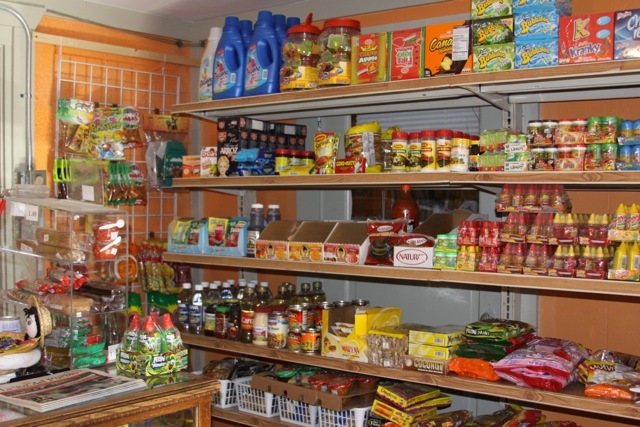 First, though, we pass through a small storefront that housed an early Big B’s retail outlet, and now serves a strong purpose for the Mexican community here, providing contemporary and traditional Mexican food and household products, phone cards, and other amenities that gratify his employees and the wider Mexican-American population of the valley. Then we descend into the cellar, a low-ceilinged room with a concrete floor, filled with barrels and crates of various apple products. 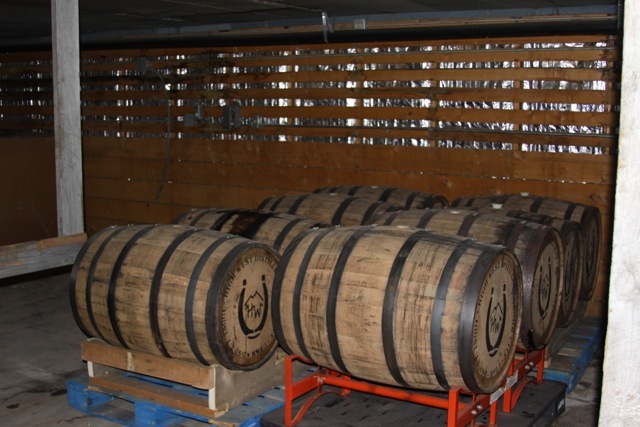 Throughout the tour we have continually passed by palettes of crates of ciders and juices and pallets of apples, and inhaled subtly shifting aromas through the different rooms. Jeff keeps a running commentary about his plans for improvements to further grow and streamline the business. “We’re also experimenting with biodynamic preparations being made here in this valley and then returning that to the soil, inoculating our places with true life force.” I’m fascinated but I get too cold in the cellar to pay attention. We wind up in the employee break room, where we settle into chairs with a couple of bottles of hard cider and two paper cups between us, as we relax from interview into conversation. 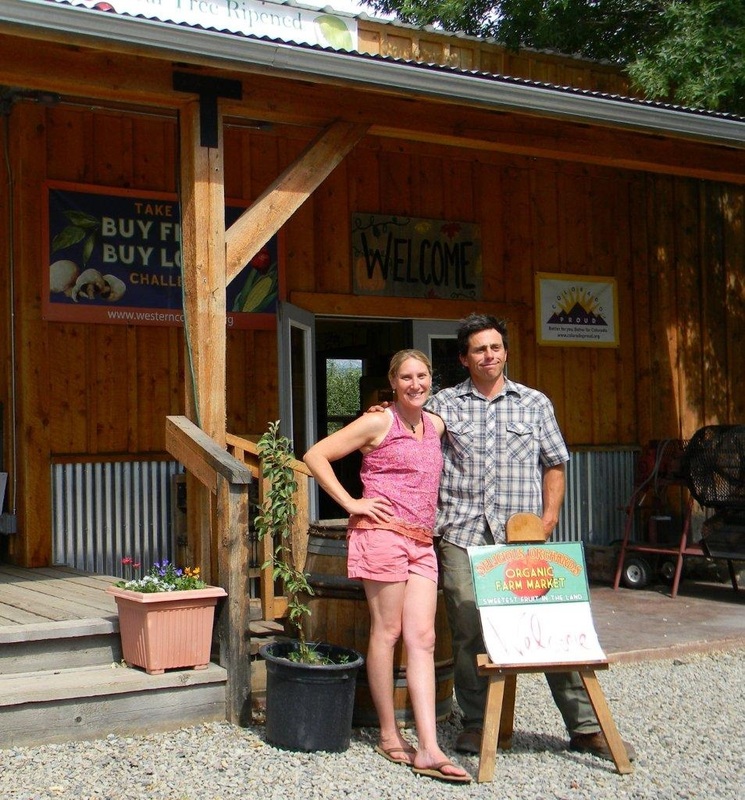 Jeff and Tracey also own Delicious Orchards in Paonia. They bought Delicious a few years after they got settled into Big B’s, when an employee came to him and said there was an orchard he was interested in buying, and would Jeff buy the fruit. The timing was right and the location on the highway perfect for retail, and they already had the product. 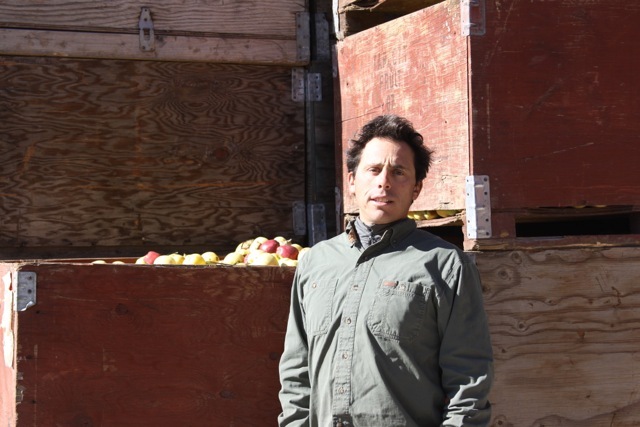 The employee lost interest, but the Schwartz family moved on the deal, and acquired a sixteen-acre organic orchard with a big bare building. 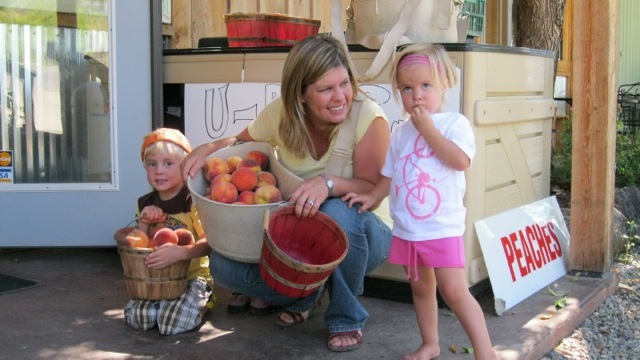 Over the years, they’ve transformed that shed into a delightful farm store offering Big B’s products, great local organic foods including cheese and seasonal vegetables, and local arts, crafts and books. A tasting bar refreshes visitors with Big B’s hard ciders as well as many local wines. Tracey is an ace knitter, and a small wall of the store overflows with a rainbow of fine yarns. A café serves food made from local ingredients, and a campground nestled in the orchard boasts views of the surrounding mountains. Saturdays in summer often host an all-day barbecue with live local music, and for a small membership fee, members get a 5% store discount and monthly specials. Throughout fruit season, Delicious Orchards sells their own organic fruits and is a popular U Pick destination for locals and travelers alike. This family-friendly activity is a lot of fun for everyone, with low limbs for kids and ladders throughout the orchards for the more adventurous. It’s a great way to spend a few hours and come home with a bounty of fresh cherries, pears, peaches or apples, depending on what’s ripe for the picking. Discussions of air quality and water contamination crop up wherever two or three valley residents get together. We cover these, and more, and Jeff mentions the size of the trucks he’s seen occasionally in convoy down the highway. “Highway 133 is not sufficient to support that kind of traffic. Those trucks I’ve seen driving down the highway, those nine trucks in a row, and the unbelievable size of them. We just can’t handle that impact on our roads.” And like many in the valley, Jeff is ready to turn his concern into action when it comes to protecting the North Fork. 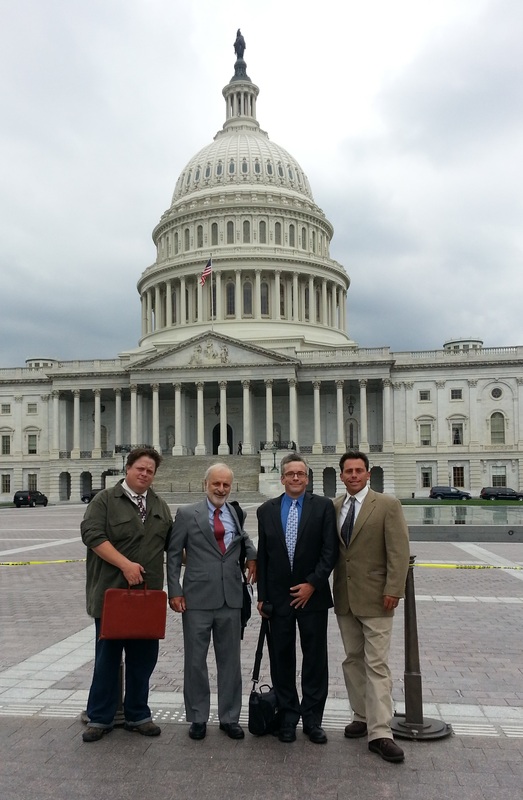 Jeff was among a delegation that traveled from the area to Washington DC in June 2013, to bring the case to federal decision-makers that some places were more valued for their other resources than to be turned into an oil or gas field. By now, half the hard cider is gone from the bottles. They must have holes in them somewhere. Big B’s employees start to trickle through the break room on their way home for the day. Jeff greets them all by name, “Bye, see you tomorrow, thanks!” And they respond in kind with smiles and waves. There is an ease of being, a family feel, during this end of the day ritual. Jeff has a lot more work to do before he can head home to his family, so I pack up and we head outside. He loads me up with a couple of bottles of North Fork Cellars hard cider, and a half gallon of Big B’s Cold Pressed Apple Cider, along with instructions on how to ferment it myself at home. I know the cider won’t last long enough for me to try that, but I listen anyway, watching alpenglow settle over Mt. Lamborn and enjoying that mild sense of well-being from the refreshment in the break room.